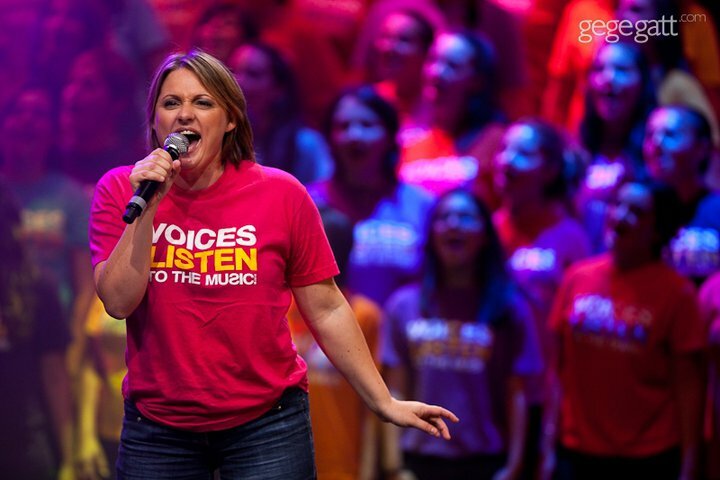 Claire McCartin participated once again in the much-awaited bi-annual event – VOICES – this year’s theme being LISTEN TO THE MUSIC. Besides being a choir member, Claire was also chosen as the soloist of Elton John’s Philadelphia Freedom. Ten concerts were held between 6–10 and 13–17 October, 2010 at the Mediterranean Conference Centre, Valletta. This year, the repertoire included such songs as Volare, Philadelphia Freedom, Hallelujah, The Show Must Go On, Nessun Dorma and Viva La Vida, plus a few surprises. This entry was posted	on Monday, October 18th, 2010 at 9:00 pm	and is filed under Uncategorized. You can follow any responses to this entry through the RSS 2.0 feed. You can leave a response, or trackback from your own site.